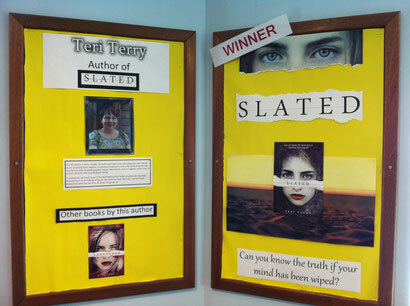 Slated wins the Bishop Luffa School Book Award! OK, I did actually know about this for while. But is was only two days ago that I went to Chichester to collect it. 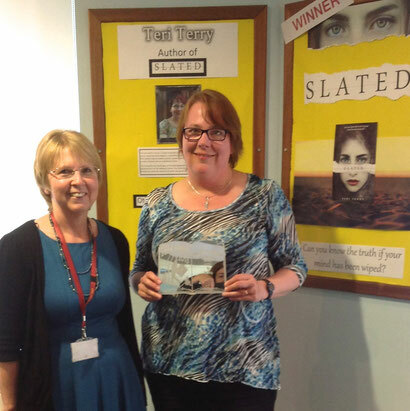 And here I am posing in front of it holding a shiny trophy, next to librarian Mrs Bone who organized the whole thing! 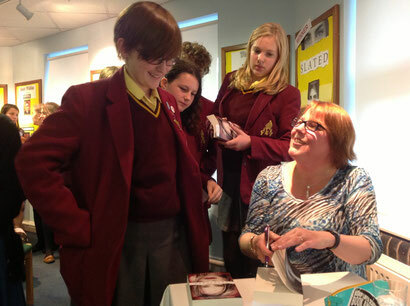 I spoke to students at lunch & then did another talk for two year nine classes. Both groups asked loads of questions: NICE. That is always my favourite part of these things. 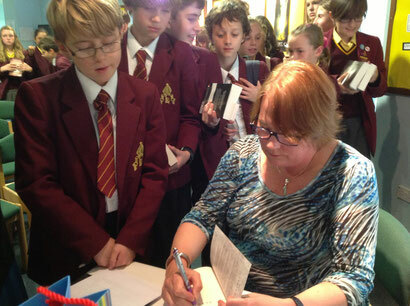 Thanks so much to all the lovely students who came along, to librarian extradinaire Mrs Bone and everyone at Bishop Luffa School for making me feel so welcome, and to writing pal Kathryn Evans for coming along and helping out (and letting me read from her copy of Fractured)! 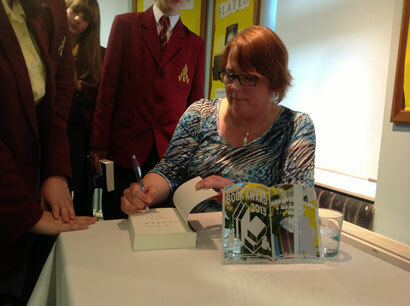 Thanks also to Mrs Bone for sending me the photos of book signing and holding the award. 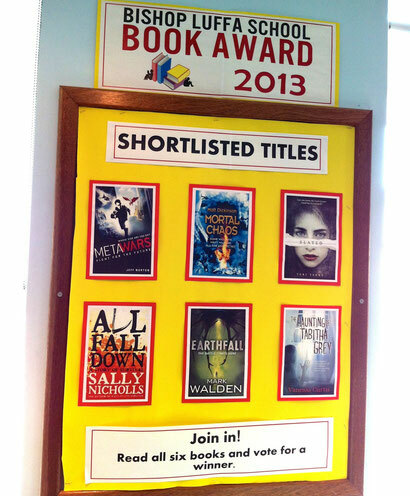 There are more photos and a write up also on the Bishop Luffa School website, here. teri I don't want to rush u but im bursting to find out the blurb, is it soon, and by soon I mean this month or next. pls let me know its bad enough I hve to wait till MARCH to actually get the book thx in advance ! Awesome job! And a new book deal too! You rock.